“Just say please if you would like a coat. Say thank you if you’ve received a boat.” Without music, these lines sound like a children’s poem, but paired with an accordion it transforms into an educational sing-along that kids can’t help but move to. The desire to pair informational lyrics with polka music so kids can learn in a fun environment is the ultimate goal for Mike Schneider, commonly referred to as Uncle Mike. Schneider will be performing his Pint Size Polka routine at the Kearney Public Library on July 9, at 4 p.m. While some may think of polka music as being something only their grandparents listen to, Schneider believes that children offer a great platform for polka performances. Shawna Lindner, KPL Youth Services Librarian, said that even though the music is targeted at children, parents, grandparents or any adult will thoroughly enjoy the show. “We just like to provide the opportunity for people to see a variety of types of music. He’s very unique. I challenge anyone to sit and listen to him and not tap your toes,” Lindner said. This will be the Wisconsin native’s first visit to Nebraska. On July 9 he will first stop in Central City before coming to Kearney for his afternoon performance. The children’s musician has an intense summer performance schedule doing over 100 shows in nine different states, but for Schneider this signifies the realization of a dream. “I love what I do for a living. I’m lucky that I’ve been able to make this jump into something I can make a full-time living at,” Schneider said. Growing up near Milwaukee, the Polka Capital of the world, Schneider fell in love with music at a young age. “My dad is an accordion player, and as young as I can remember he’d pull his accordion out and play it for me and that kind of planted those early seeds of polka music,” Schneider said. It was not until Schneider was five years old and his parents took him to see America’s Polka King, Frankie Yankovic that he decided he needed to begin playing accordion himself. Since receiving the instrument at six, he hasn’t missed a beat. Schneider played with the Mike Schneider Polka Band as a hobby while he made his living doing freelance graphic design until 2006. Then, his at the time girlfriend read an article about Mr. Stinky Feet, a children’s rock musician, and had an idea that changed everything. Even though the presentation he’s giving at the library will be targeted at children, Lindner thinks it’s a performance that no one should miss. “Adults without kids are welcome as well,” Lindner said. Lindner hopes it draws a diverse crowd of all ages, and brings out some families with children who have yet to be exposed to polka music. Along with his educational polkas about manners, personal hygiene and the alphabet, Schneider will also be playing some more traditional polkas and sharing his passion for the genre. “With polka music, I just love the happy beat, it’s the same thing that attracted me to it when I was six years old, it was just that happy, uplifting sound,” Schneider said. Mike Schneider heard Frankie Yankovic playing polka music for the first time when he was five years old, and he says it was love at first sound. "It’s no secret that polka music is the happiest form of music on the face of the earth," says Schneider. "My vision is to help families discover the good, clean fun that you can experience with polka music." Pint Size Polkas consists of Schneider on accordion and longtime friend, Doug Krueger, on banjo. For numerous years now, Schneider has brought polka to the little people via the Summerfest Children’s Stage. We caught a close-out performance this afternoon at 3:15 p.m.
My kids have experienced polka music before at the Lakefront Brewery Palm Garden Friday night fish fry, featuring the Brewhaus Polka Kings. This was their first outdoor polka show. We enjoyed it. My kids are at the age – 11 and 10 – that I am skeptical about some children's entertainment, thinking they will find it too babyish, but so far, they don’t. They were very involved in the show – pretending to be airplanes, doing the chicken dance, participating in call-and-response songs. Much of the show reminded me of a polka version of Milwaukee’s folk duo, Fox & Branch. Especially when Schneider performed "I’ve Been Workin’ On the Railroad." Many kids were called on stage to try on different hats, which were the segue into various polkas. Overall, I am not really into "kids’ music." I think young folks should just listen to music. The Beatles are a good place to start. So is classical. But I know that the kids’ music genre has exploded in the past 10 years, and there are a lot of talented people out there cranking out tunes and good times for the music-consumers of tomorrow. Pint Size Polkas is particularly good at this. 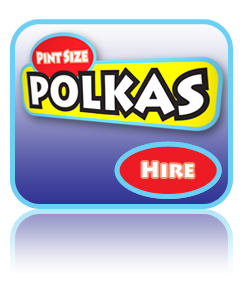 "I want to express my sincere thanks to my wife, Heather, who came up with the original Pint Size Polkas concept. Without her support and ideas, along with our many family members and friends who provided their input along the way, the success of Pint Size Polkas would not be possible," says Schneider. Uncle Mike brought his accordion for “Pint-sized Polka" to the Le Sueur Library recently. Maestro Mike mixed music with trivia, books and occupations, giving his audience an opportunity to learn and dance to that bavarian beat. This column is probably going to sound like a Facebook post or a lot of Twitter tweets strung together, but it does all fit into the Optimist Creed, especially the part that says give "every living creature you meet a smile." I want to tell you about my July 4 holiday week. It all started on July 1, when I traveled to the Portage County Public Library in Stevens Point to watch "Uncle Mike Presents Pint Size Polkas" by Mike Schneider of Milwaukee. About 80 youngsters ranging in age from 2 to 8 years watched, listened and took part while Uncle Mike played polka music for them. I've know about Mike and his Pint Size Polka programs for a while, but this was the first chance I had to watch him present his program. You talk about giving smiles -- Mike smiles all the time. He is upbeat, happy and a lot of fun. The way Mike was able to reach these kids through music was amazing. Seeing the kids having so much fun was the perfect start to my holiday week. Then the rest of that weekend, including July 4, was spent at home getting many things crossed off of the to-do list, and I was back to work on Tuesday and Wednesday. My grandson Henry came to visit on my days off during the remainder of the week. Henry is the son of my son, Clay, and his wife, Christine. They live in Minnesota, so that means Grandpa and Grandma Pufahl haven't seen him nearly as much as we would want. We took Henry to the concert on The 400 Block on July 6 and celebrated Henry's second birthday July 7. The birthday celebration found everyone smiling a lot. We were smiling at Henry, waiting for that huge return smile from him. We were smiling just watching him and all the cute things he did and said. And I know that all the smiling made for a fantastic holiday week for me. BLUE EARTH - They did the "Chicken Dance" and the "Hokey Pokey," learned about lumberjacks and railroads, and found out bits of Minnesota trivia, all mixed to the bouncy polka beat of Mike Schneider's accordion. Schneider, of Milwaukee, visited the Blue Earth Community Library and Winnebago's municipal building Tuesday with his "Pint Size Polka" show, which nearly 50 kids and a number of adults attended. Flips-flops flew off in Blue Earth and grins stretched wide in Winnebago as the kids danced energetically. Little ones barely old enough to walk toddled among the dancers, watching the moves and even trying some themselves. On Thursday, Schneider will visit the Fairmont library at 1 p.m. and the Trimont library at 4 p.m. The program is sponsored by the Traverse des Sioux Regional Library System and is funded by the Arts and Cultural Heritage Fund. It is free and open to all ages. Polka music started in the 1800s and moved west with the immigrants, Schneider said. "By the 1940s, polka music was almost as popular as Hannah Montana is now," he said. He played "Occupations, Jobs and Careers" in which he had one of the kids wear a hat and the others guess who would wear such a hat. When the kids guessed railroad conductor, Schneider played "I've Been Working on the Railroad" and told them the first commercially successful internal combustion engine locomotive in the United States was made in Minnesota by General Electric. That was something that Tyler Scott, 10, said he learned. "I liked all of it," he added. The best part for Terry Moore, 9, was singing "EIEIO" which Schneider turned into a contest between the right and left side of the room. Schneider picked kids out of the audience to help demonstrate the dances, like "Head, Shoulders, Knees, and Toes" and, in Blue Earth, kids got a video lesson about how to dance the polka. Malarie Scholtes, 11, liked learning the polka. Malorie Huber, 11, and Julia Hanson, 11, said their favorite part was playing "Name That Tune." Cassie Peterson, 11, liked the "Chicken Dance." The girls said they learned things too. "I didn't know the most popular airport," Hanson said. "Who invented the first train engine," Huber said. Scholtes and Peterson said they learned how to polka. "I want it to be here next year," Scholtes added and the other girls agreed, but Hanson had a request. "I want him to play the accordion with a bass guitar and learn the 'Cotton-Eyed Joe,'" she said. That's the kind of enthusiasm Schneider wants the kids to catch. "I'd like to build a few lifelong polka fans in the process of playing these programs," Schneider said. He picked up the accordion at age 6 and was playing church festivals 10 years later. He had noticed the reaction of children to the toe-tapping music, but it wasn't until his wife, Heather, suggested playing for kids that he considered it. He promoted the show, got some TV exposure, and a librarian called. His performances have grown from nine libraries to an interstate traveling show that includes Minnesota, Indiana and Missouri. Schneider has even been to Georgia. Although the children down there have not been exposed to polka music, "they loved it," he said. "There are a number of benefits," Schneider said of the show. Among them: Kids learn about the alphabet, numbers, occupations, personal hygiene, some regional culture and, of course, polka music. "I want them to have education they can take home with them and develop a lifelong love of polka," he said. Schneider recounts of how he first heard polka music from America’s King of Polka, Frankie Yankovic, “As a child the music’s bouncy beat drew me in, leaving an impression that will last a lifetime.” Schneider believes polka music is the happiest form of music on the face of the earth. The Pint Size Polka Band travels have taken the group to such places as Cleveland, Ohio for Tony Petkovseks’ annual Thanksgiving Weekend Polka Party, to the Caribbean for a Polka Cruize, Octoberfest in New Ulm, Minnesota, plus Summerfest and Rainbow Summer in Milwaukee, Wisconsin. The Polka Band has received plenty of recognition, winning the Wisconsin Polka Hall of Fame’s Horizon Award in 1997. The band has appeared on television’s ‘s Today’s Daybreak Show and The Food Network for Food Nation with Bobby Flay. Ice Cream will be served following the concert by The Friends of the Library. Concerts in the Park are made available by a grant provided by the Prairie Lakes Regional Arts Council from the MN Arts and Cultural Heritage Fund as appropriated by the MN State Legislature with money from the vote of the people of Minnesota on November 4, 2008. I've been asked in the past to give people examples of some of the tenets of the Optimist Creed. For example, a while ago someone asked if you really had to smile all the time in order to follow the tenet that says "to wear a cheerful countenance at all times and give every living creature you meet a smile." 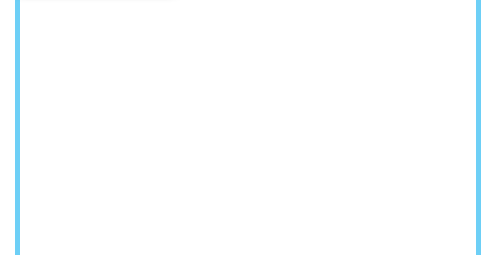 I had to think a bit before I answered, but I said something like, "Yes. To follow it exactly, you would have to." At least whenever you are around anyone else, you would have to be smiling. Then I thought about it some more and decided that in a broad sense, anyone would be following that tenet if they did things that made people happy, even if it wasn't giving a direct smile to someone. And a lot of people are doing just that. The Green Bay Packers certainly made a lot of people happy by winning the NFC Championship and the chance to compete in the Super Bowl. What about others? Are they out there and, what are they doing to follow that tenet, at least in a broad sense, by making people happy? One example I can think of is a man named Mike Schneider of the Milwaukee area. Schneider is a musician and has his own regular adult polka band, but he is also known as Uncle Mike of another band, "Uncle Mike and his Polka Band." Uncle Mike's band plays polkas for kids in libraries and schools mainly in southern Wisconsin. They have two kids' polka CDs available called "Pint Size Polkas." Schneider says his mission is to provide an entertaining and educational musical experience for children and their families. Children of all ages can learn about the alphabet, numbers, careers, the benefits of drinking milk, personal hygiene and even a fancy new dance step or two. And by just reading the titles of many of the songs you know they are educational. Songs like "Scrub, Scrub Scrub," "Alphabet Polka" and "Please and Thank You." No matter how young a child is, I'm convinced when they listen to Uncle Mike's Polka band they become happy and begin to smile. I gave Volume II to my 18-month-old grandson, Henry, and his dad, Clay, tells me that when they listen to it Henry is all smiles and even starts dancing to the music. And why not? With a snappy polka beat, it is sure to put a smile on anyone's face, young or old. So even without being there in person I'd say Uncle Mike is certainly following the Optimist Creed tenet. Ever since he heard his father play the accordion and later began tapping his toes to the tunes of Frankie Yankovic and other polka legends, Mike Schneider dreamed of becoming a polka musician. Little did he know at the time, however, what trajectory that dream would ultimately take. Several decades later Schneider has found the audience for the music he’s always sought to play, albeit in generations far younger than he ever imagined. Catering the polka music he loves to the younger generation is something he had never considered, Schneider said, and credits his wife, Heather, for getting the ball rolling. She suggested the idea after reading about a popular children’s performer known as “Mr. Stinky Feet” and later watching the children’s show “The Wiggles” with their child and seeing how popular the music-centric characters were. Schneider freely admits that he was remiss in having not seen the connection children have with polka music for himself until his wife mentioned it. After gathering a collection on existing polkas and reworking the lyrics – as well as creating original scores – Schneider released “Pint Size Polkas Volume One” two years ago. Promoting the first CD heavily, Schneider made the rounds to just about every library in western Racine County last year as part of the Story Wagon program and elsewhere around the Midwest, performing the tunes it contained for the libraries children’s programs. “Burlington was one of the first libraries I ever played,” Schneider said. His own love of polka music washed over him at a young age. Schneider explained that his father, Paul, was an avid accordion player and that polka music was a staple in the family’s home. After seeing and hearing the joyful noise that could be produced by a squeezebox, Schneider was prompted to ask his parents for one of his own. “I convinced them within a couple of months to get me an accordion,” he said. A graphic designer by trade, Schneider continued to play polka music in his spare time but began to question whether that dream of becoming a published polka musician would ever become a reality. The reception of his children’s polka music – witnessed both through positive sales of his CDs as well as seeing the response children have to the songs when he plays them live – have ultimately erased any doubt about where his musical career was headed. The novelty of a musician catering polka music to a younger generation has generated quite a bit of attention for Schneider, as he’s been featured on Chicago television stations several times. He has also performed both at the Wisconsin State Fair and Summerfest events. While the popularity of the polka is well-documented in the Midwest, Schneider recently booked a 32-event tour that will take him down south to various libraries throughout Georgia next year. Besides the importance of having a toe-tapping beat, Schneider carefully selects and crafts songs so that there’s some educational value or an important message in each. It’s through listening to the music that the children are then able to learn those specific lessons through a sort of osmosis process, which, Schneider said, oftentimes is the best and easiest way to learn. While incorporating some of his own creations on the CDs, Schneider has also included some classic polka tunes. In some cases, using the tried-and-true polka tunes requires Schneider to tweak the lyrics to make them adaptable to the younger set. “Some of them are really not much of a tweak at all and with others, I rewrote the lyrics completely,” he said. In addition to providing clarity as to just how he was supposed to apply his talent for playing polka music, the “Pint Size Polkas” CDs have also provided Schneider with the hope that the style of music will continue to be carried on by future generations. The positive feedback he’s gotten from parents and children who have heard the music or purchased one of his CDs, Schneider said, has encouraged him to continue making music that will likely appear on future “Pint Size Polkas” CDs. Among the ideas Schneider has tinkered with is creating a Christmas CD for next year full of child-geared polkas. In the meantime, his bookings and appearances slated for 2011 have resulted in the music becoming a full-time profession for Schneider. While optimistic that there would be a market for his music upon releasing his first CD, Schneider admits that he never fathomed it would take off in the fashion it has. As for what it is about polka music that captures the energy and attention of children, Schneider said it’s the joyful nature of the music that they can relate to. Schneider’s music can be purchased either by logging onto his website www.pintsizepolkas.com or can be downloaded digitally through iTunes. In addition to making appearances at libraries and other gatherings, Schneider has also performed at children’s birthday parties. Those seeking to book him for such an event are encouraged to contact him via his website. Through Christmas, Uncle Mike and his Polka Band will donate $2 from every Pint Size Polkas Volume One CD sale made to Wisconsin residents via www.pintsizepolkas.com/wish to Make-A-Wish Foundation of Wisconsin. Customers will be able to download a free MP3 copy of the "Jingle Bells Polka" featuring Uncle Mike and his Polka Band with their purchase. Pint Size Polkas CDs and live performances are designed to entertain children while providing education on concepts like the alphabet, numbers, occupations, relationships, personal hygiene and foreign language -- all through the happy sounds of polka music. Uncle Mike and his Polka Band, from Milwaukee, have been invited to appear on newscasts and talk shows on 17 major network television affiliates in seven states. The Wisconsin chapter of Make-A-Wish Foundation was founded in 1984, and more than 3,600 families statewide can attest to the power of a wish. The chapter's field office, located in Appleton, opened in 1996 to better serve children and their families in northeastern Wisconsin. Last year, the chapter granted a record-breaking 289 wishes. On Tuesday, the McMillan Memorial Library provided another evening of top-notch entertainment, this time, it was polka music for children. Hosts Uncle Mike and Lumberjack Doug gave a good performance of this jolly music on their accordion and banjo, while children (and a few adults!) danced in the aisles. With their Pint Sized Polka educational inserts shown on a video screen, they taught the children about accordion manufacture, polka history, and a little about lumberjacking. As with most of our Library events, this was totally free, and this week's concert is eagerly anticipated. Ryan Krygier is the first to admit that when he goes to polka concerts around Grand Rapids, most people in the audience are, well, a little older than he is. At 33, he's usually the youngest one there - unless you count the musicians' grandkids. But Krygier, who is active in the local Polish community and also writes a column for a publication called "Polka Times," is out to change that. Krygier works with junior kindergarten and kindergarten students at Sacred Heart of Jesus School, where he is an unpaid staff member. Recently he organized a special appearance at the school by Mike Schneider, who is touring the nation promoting his new CD for kids, "Pint Size Polkas." Schneider has already recorded several polka CDs with the Mike Schneider Band, and has won numerous awards in his home state of Wisconsin. But "Pint Size Polkas" is his first foray into music for children. And his appearance at Sacred Heart last month was his debut performance before an audience made up solely of pint-size fans. Students in the school's junior kindergarten through third grade attended the show, learning new steps to the chicken dance and interacting with Schneider and the various props he brought along. Schneider played all 15 songs from the CD, including "Tiny Bubbles in the Tub" and a "polkafied" version of "I've Been Working on the Railroad." He also brought out a U.S. map to show the kids all the cities where he'd stopped to promote the CD, taught them the German words to the polka "Ein Milch," and let them try pushing the buttons on his accordion. "I wanted to do something that was fun for the kids, but at the same time had educational value," he said. Schneider said he had always noticed while performing that kids just seem to like polka. "There's something about polka music that lends itself really well to children, whether it's the message the lyrics carry or the happy beat itself," he said. But it was his wife, Heather, who came up with the idea of a polka CD for children, he said. The CD was released in November, so he has just started putting together his show for children, he said. In addition to the music, the show touches on subjects like the alphabet, numbers, occupations, personal hygiene, and a foreign language. But he also hopes to teach kids to embrace their talents and not be afraid to share them with the world, he said. 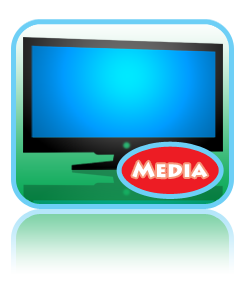 Schneider was making stops throughout the Midwest last month to appear on television and radio news shows. Krygier said he saw in a newsletter that one of those appearances would be in Grand Rapids. Although he had never met or spoken with Schneider, he didn't hesitate to contact him. "I said 'You're going to be 15 minutes from my school - please come to my school," Krygier said. "What Mike Schneider has done with his project is wonderful. He's trying to bring polka music to the younger generation, which is what I try to do." When he got up to introduce Schneider to the students, Krygier told them exactly what was going on in his mind. "I've brought something before you today that I love, which is polka music, and the other thing I have my heart into is you kids," he said. "I've brought together the two things in this world that mean a lot to me." Mike Schneider still gets goose pimples when he thinks about falling hopelessly in love with the accordion and the joyous sounds of polka music at the tender age of 5. The occasion was a church picnic where America’s reigning polka king, Frankie Yankovic, was holding court with his Baldoni accordion. Largely self-taught, Schneider has been performing Yankovic’s Slovenian-style polka music in public since middle school, and has gone on to be considered one of the great hopes in keeping polka alive. While he’s certainly up to the task, Schneider recently realized there was a whole other market for polka music that he had been overlooking, even though it was part of his own roots. Assembling a children’s polka CD forced Schneider to think about his own early love for the music. 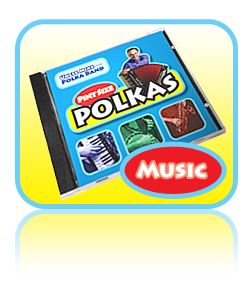 The songs on Pint Size Polka range from polka favorites (Yankovic’s “Whoop Polka”) to reworkings of children’s classics (“I’ve Been Working on the Railroad”) to Schneider originals (“Parents Polka”) to kid-friendly rewrites of adult polkas (“Ein Milch”). And the response has been amazing, Schneider said. “I heard from a daycare in South Dakota where they had to record the CD to tape because every time they played the CD, the kids would dance so hard the CD would skip,” he said. Volume II is a couple years down the road, Schneider said, which begs the question, when you are in a niche market such as polka, aren’t you worried about becoming even more of a niche artist with children’s polka music? You can order Pint Size Polkas at Schneider’s website, mikeschneiderband.com. If you're a polka fan looking for a stocking stuffer for the kids, there's something new that may fill the bill. Milwaukee polka musician Mike Schneider recently released his first children's polka CD, "Pint Size Polkas Volume One" ($11.99). The 15 songs include some that are educational and entertaining, such as "Alphabet Polka," "Numbers Schottische" and "Tiny Bubbles in the Tub." Others are just for fun, including the familiar "I've Been Working on the Railroad," "The Happy Wanderer" and "Hey Baba Reba." Schneider, 29, says he heard his first polka music at age 5, played by Frankie Yankovic, "America's Polka King." He credits his wife, Heather, with coming up with the "Pint Size Polka" concept. A song sampler is at www.pintsizepolkas.com, where a video of "Jolly Lumberjack Polka" may be seen as well. Schneider has traveled throughout the Midwest and eastern Caribbean with his band. © 2008-2012 Mike Schneider. All Rights Reserved.